Reggie Fils-Aime's tweet - "Hi Twitter community. " What new games are you going to be playing now Reggie? Damn, how did you get verified so fast? I’ve been waiting for years! Welcome. Our body is ready for your tweets. A new must follow has appeared! 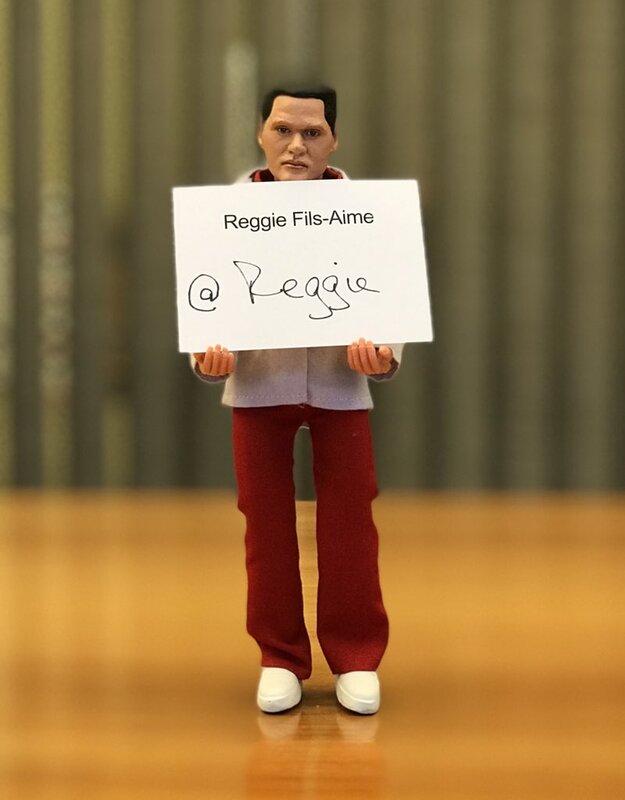 Let's give a big 1UP to @Reggie Fils-Aime as he joins @twitter today as a private citizen. Reggie, thank you for all you've done for gaming and Nintendo! Welcome to the Twitterverse, Regginator! We now walk amongst gods. At last, a use for my enormous folder of scary Reggie photos. Why did Reggie wait to leave Nintendo before joining Twitter? Either way, glad we will still be hearing from him. Are you still playing Animal Crossing New Leaf on your Nintendo 3DS? Reggie with some serious pull to grab that twitter name out of the gate. Finally I have an avenue to ask this: why no Elite Beat Agents 2? Also, welcome! Omg official reggie account is finally here?!? Reggie is on Twitter now. Reggie has a Twitter now!! 20min aktiv, 15k Follower. Nice! "Community" omg Miiverse coming back??? Why is my first instinct "can we get Reggie a fursona"? Oh my God my Dad is using the internet now!!! Vaya, Reggie ahora cuenta con su propia cuenta oficial en Twitter una vez ya dejado el cargo en Nintendo. Reggie's shackles are broken; he finally made it to Twitter. I'm glad Reggie has joined Twitter so we can all tell him how much we appreciate the work he has done for Nintendo. Ah, hey Reggie, nice to see you here! Welcome to the Twitterverse - and happy last day at NoA!